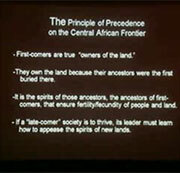 Dr. Klieman was trained as a specialist in the pre-colonial history of central Africa and the use of comparative historical linguistics for the reconstruction of African history (Ph.D. UCLA, 1997). Her interest in African culture and history began as an undergraduate studying African art, and was reinforced through service as a Peace Corps volunteer in the Democratic Republic of Congo (1984-1986). Her first book, "The Pygmies Were Our Compass": Bantu and Batwa in the History of West Central Africa, Early Times to c. 1900 C.E. (Heinemann, 2003), reconstructed the changing nature of relationships between Batwa ("Pygmy") peoples of the Central African rainforest and their agriculturalist neighbors over a 3000-year period. Lauded as "stunning", "a truly remarkable book" (ASA), "profoundly original," and "nothing short of revolutionary in central African Historiography" (CHOICE), the work was chosen by the African Studies Association as a finalist for the Melville J. Herskovits Award in 2004. It was also named a 2004 CHOICE Outstanding Academic Title. While she remains passionate about the pre-colonial African history, life in Houston, the hub of the international oil industry, has had a profound impact on Dr. Klieman's research interests. Her second book (in progress) focuses on the origins of the “Oil Curse” in Africa and is entitled Before the “Curse”: Petroleum, Politics, and Transnational Oil Companies in the Gulf of Guinea, Africa, 1890s-1980’s.The book provides a detaialed history of the changing nature of relations between transnational oil companies, their home governments, and the colonial and post-colonial Africa, with a focus on the Democratic Republic of Congo, Nigeria, and Angola. As the first work to chronicle the history of oil in sub-Saharan Africa, the book will provide important contributions to the fields of African history, as well as the growing body of literature on the “Oil Curse” (or ‘resource abundance”) in developing nations. 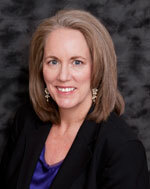 Dr. Klieman has received numerous awards and fellowships in the course of her career. Most recently she received the prestigious External Faculty Fellowship from the Humanities Research Center at Rice University (Fall 2011), a Gerald R. Ford Presidential Foundation Research Grant (2009), and the University of Houston GEAR (2008/9). 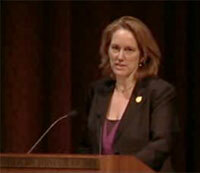 In 2007 she received the University Teaching Excellence Award, based on campus-wide competition. For earlier research she received support from the Social Science Research Council, the Fulbright-Hayes Foundation, and the Belgian-American Educational Foundation. African history: autochthonous peoples/”first-comers,” their roles in history/politics; historical linguistics as a tool for reconstructing the past, Bantu expansion; nexus politics/religion in Africa, cults of affliction. Environmental history: social constructions of nature, religion and the environment, nature/territorial spirits and their role in local power/politics (global comparisons). 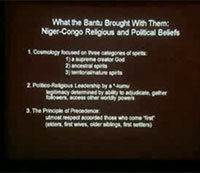 African Diasporic Communities: African continuities in religious/environmental practices. “From Kerosene to Avgas: International Oil Companies and their Expansion in Sub-Saharan Africa, 1890s to 1945,” in Environment and Economics in Nigeria, edited by Toyin Falola and Adam Paddock (New York: Routledge Press, 2012). “U.S. Oil Companies, The Nigerian Civil War, and the Origins of Opacity in the Nigerian Oil Industry, 1964-1971” Journal of American History vol. 99, no. 1 (June 2012): 155-165. "Oil, Politics, and Development in the Formation of a State: The Congolese Petroleum Wars, 1963-68," International Journal of African Historical Studies, 41:2 (2008), p.169-202. 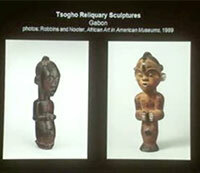 "Of Ancestors and Earth Spirits: New Approaches for Interpreting Equatorial African Politics, Religion, and Art." Chapter in LaGamma, A. (ed.) 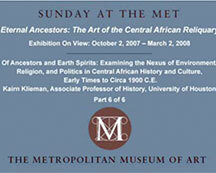 Eternal Ancestors: Central African Reliquary Art (Metropolitan Museum of Art, October 2007). Honorable Mention, Association of Art Museum Curators, “Outstanding Exhibition Catalog,” 2008. The Pygmies Were Our Compass: Bantu and Batwa in the History of West Central Africa, Early Times to c. 1900 (Heinemann, 2003). Finalist for the Herskovits Award, CHOICE Outstanding Title (2004). In June 2008 Dr. Klieman participated in film-making seminar run by the Center for Digital Storytelling out of Berkeley, California. 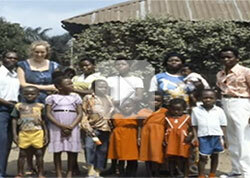 See the results of her efforts, a 4 minute film about her experience in the Congo as a Peace Corps volunteer and the tragedy of the war and violence currently occurring there. 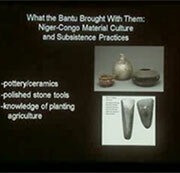 Dr. Klieman participated in a lecture series at the Houston Metropolitan Museum of Art in conjunction with the exhibition "Eternal Ancestors: The Art of the Central African Reliquary," the lectures examine the legacy of one of Africa's greatest artistic movements. Watch Klieman's presentation by click the images below.